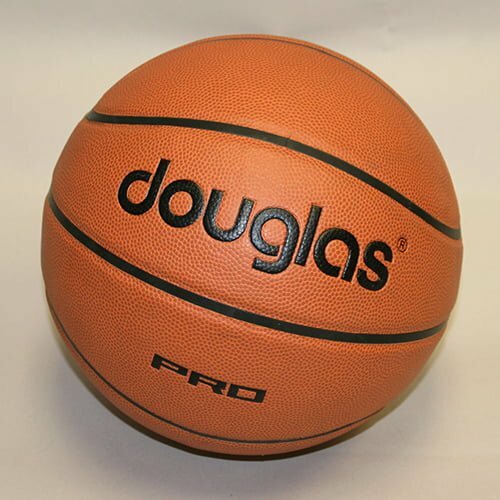 NSP, a division of Douglas® offers 4 Adjustable Basketball Systems. All of these systems are heavy duty and made to last. 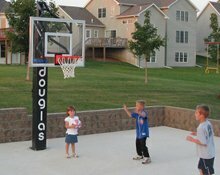 Being located in Eldridge, Iowa we experience negative temperatures as well as 100 + degrees in summer. 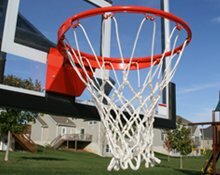 With this in mind, we carefully fabricate each component to hold up in the harshest outdoor conditions. 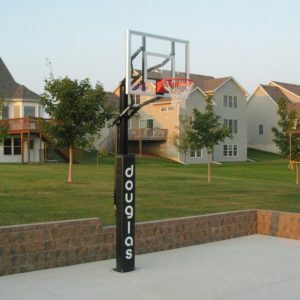 Our poles are constructed from 6” square structural steel with a 3/16” wall thickness. Each top extension arm is 1” x 2” steel, while the lower extension arm is 2” x 4” for extra strength and support. 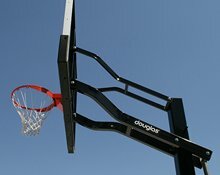 Finished with black acrylic powder coat to prevent chipping and provide the ultimate corrosion protection against the elements. 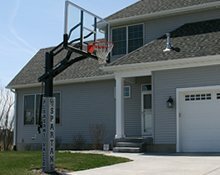 Our unique anchor system allows for easy and accurate leveling during installation. 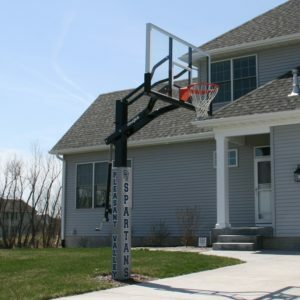 J-bolt anchor system allows you to dismount your basketball system and move to a new location. All systems are adjustable from 6’ to 10’ using our EZ crank and include a stainless steel handle that is removable for unwanted tampering. 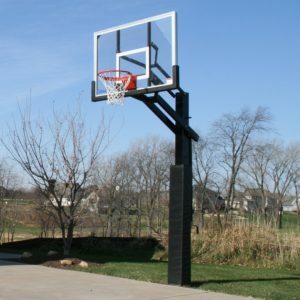 We offer Tempered Glass Backboards on most units and all units include a Pressure Flex Breakaway Goal sturdy enough for unsupervised play and repetitive dunks. 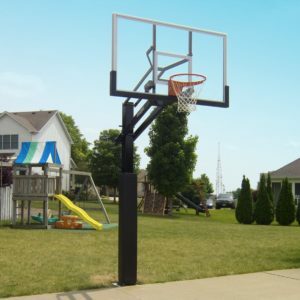 Not only will you receive free backboard padding and pole padding, but each system is covered by a Lifetime Warranty so you can rest assured that your investment is protected.